Clan History: The Tamashii clan was believed to be founded and formed by the a spiritual being named Orochisai Riko. Riko was an spiritual god of the moon who was believed to be banished from the skies and stripped of his kids. But though he attempted to move on after his kids were took, he missed his children dearly. He wanted new offspring and couldn't get his minds off of his young. He was thinking deeply, and his wife, Usagi saw him stressing. Because of this, Usagi payed another shinobi from another outpost to perform an experiment on his mind to attempt to reunite him with his kids again. Unfortunately, or fortunately for Riko, he had a dream. He dreamt of children again, this time though, he only wanted one. Using his might and power, he willed a child to be conceived. She was named Masayume, a dream that came true. She was beautiful, yet a fragile little thing who did nothing more but sleep. Usagi found out about his child and loved it all the same. Masayume never woke up. Instead she came alive during the dreams. Riko and Usagi would both find her frolicking around as they slept. They were enchanted by her. Because of this Riko became lazy and didn't commit to his job and responsibilities. Instead he spent the day and night sleeping alongside his wife and daughter. The higher gods were angry and filled with rage. Because the moon god never did his responsibilities the moon and the stars lost their light. To punish them, they took away Masayume and sent her to the earth, banished right after Riko was. This time though, Masayume couldn't simply sleep all day. She had to wake up to the earth. After this wonderful myth, Masayume mind became more intelligent and her eyes had been altered to a different color. Her eyes also changed into a black and orange pupil with bags of wrinkles under her eyes. Obviously, this gift was mistake. The higher gods had gave out an gift on accident as they were attempting to banish her. This gift became something that was traditionally passed down to their children, and many of her descendants - which after a while the group of shinobi organized them self into a clan named "Tamashii." Throughout this period of time, the members of the clan had been steady devolving and evolving their skills while establishing training stages for other clans members to follow later on in life. But as these members of the clan continued to mature their already found abilities, one man wanted more power. He dreamed of creating a technique that could connect the dream passage to the real world. Most of the other clans members laughing and mocking him because of it. This humiliation didn't tear into the inner sanctums of his soul. Instead, it motivated him. He studied everything he could, expanding his mind past the levels of an average matured shinobi of this technique; Which eventually worked. The man had finally been able to project his creations, and gain a connection with spiritual realm. This ability of the man was soon to be named "Ghost summoning Jutsu" - which was the result of Kirigakure having interest in the clans skills to help them fend off against the other villages if needed. As of now, the Tamashii have been hiding in the shadows, waiting for their chance to make a move and expose the world to their connection with the spiritual realm. The soul is a representation of life, for without it there could be no life, nor any death. Every individual can be broken down into three entities. The first is the mind. This is the center of intelligence, vexed by emotion. It is the embodiment of the individual's capacity to learn. The second is the body. As we are all beings of the physical world, we would be nothing without a vessel through which to live. The body is the power, though its strength can be tarnished by mild dissipation, and thus its development must be watched with a weathered eye. The body is the embodiment of the individual's capacity to grow. The third, and final, facet of the individual is the soul. No being that possesses consciousness, even as meager of a form as that of an animal, can live without a soul. Right and wrong; good and evil. These concepts are defined by the soul. However, the soul is unique. It is different from the former two facets. While the mind and body are no doubt on equal standing, the soul is the entity that continues on for eternity. The mind deteriorates, and eventually stops. The body weakens, and eventually returns to the ashes it was risen from. However, the soul lingers on. It resides within the spiritual world, a realm that overlaps the environment around us, and though the spirit may fade over time, it is never truly gone in entirety. Each of the Tamashi have a bond between their soul through the use of an seal that each of them is born with at birth. This happens from the seal manipulating the spiritual energy in the form of chakra, for other shinobi only have access to the entity when it is combined with their physical energy to be able to create the lifeblood that flows through the veins of the chakra circulatory system. This power of the seal allows the release, and manipulation of their soul into a ghost; channeling chakra into it to give it phasing properties which are known to be used for tracking, and moving through walls. Also, the seal grants the clans member a strong connection to the spiritual world which allows them to use Kuchiyose to cause them to become possessed by the sinister reapors of the spiritual realm. With the clan's member having to adapt to these ghost abilities through the use of activating the seal, they have a natural aptitude for learning and applying advanced Fuuinjutsu and Kuchyose seals. As covered above, the power of the clans member has the potential to mold the soul into a ghost much like a common place shinobi can mold an element of their chakra nature. Once each of the clans member has already had a great deal of experience in the manipulation of the soul and spirits, and the extent that he can reach with these abilities has increased since his awakening of his skills- he will become able to learn an more advanced seal to remove the essence from another person's body through the process of killing them. This usually leads to the members of the clan being called bloodthirsty for their need to find stronger or darker souls to reap. The soul essence extracted from the body of their enemies are stored inside a small gourd, and remain there until called upon for battle. -Each member of the clan starts out with one Ghost. One extra ghost is obtained at Chuunin for 1500 wc training thread, and a third one is obtained at Jounin for 2500 wc training thread. -The member's ghost can only use Jutsu one rank higher of the user. Fuuinjutsu is the instrumental part of their bloodline. Kuchiyose is the summoning part of their bloodline. 1) The members can't learn Ninjutsu until later on in their shinobi career because they must start with Fuuinjutsu, and Kuchiyose as their speciality. 2) Members of the clan are weak against Genjutsu and Taijutsu. When defending against taijutsu or genjutsu the offending jutsu will be 1 rank higher in strength. Also, they are not able to train in Genjutsu and Taijutsu later in their life. 3) Phantoms are unable to be healed. For Soul Essence removal to occur, the person must be one rank higher than the body. The process will take two straight day and nights. During this period, the members will release the exact same power as that of the corpse. The bodies are used to convert into phantoms which do not retain any of the abilities of the person. But, the memories and appearances are removed from them, and stored in the seal of the mind. Duration: Stated below for each rank. Description: The user preforms this technique by performing the same handseals as the summoning however instead of using a contract with a summoning animal the user will place their hand on the seal on their forehead to extract their soul from their reservoir, convert it into a ghost and use it for support in battle, or support in everyday life. The phantoms are an apparition of a dead person that is believed to appear or become manifest to the living. Phantoms may have biological weaponary such as claws or sharp teeth. Ghost can be harmed by physical and chakra based attacks. The clan's member range of controlling the ghost, and extracting it from their body depend on their rank. If the soul is beaten or bruised while in ghost form, the injuries of the ghost are placed upon the user, causing the phantom to become dispelled. At D-Rank, The Genin has a 4m range, and is unable to release the entire form of ghost from out of their reservoir. Both hands of the ghost can be summoned from out of the clan member's body to be used for combat. The strength and speed of the body parts are equal to the user. At this level, the Genin are beginning to familiarize oneself with converting their soul into a ghost, and have the worst control over summoning the phantom from out of their body. Phantoms elements are the same as the user, and can only perform ninjutsu. The ghost can be destroyed by two D-ranks or one C rank technique, and cause the ghost to vanish without a trace. The summon is allowed to handle weapons of D-Rank. The ghost can only perform three E-Rank and one D-Rank jutsu. 50 chakra. 15 chakra activation, and 5 every other post. At C-Rank, The range of the ghost is six meters. The strength and speed of the summons are equal to the user. Now, the shinobi is able to control up to two ghost and learn the Soul Essence removal. At this level, The Chuunin began to understand the concept of molding their chakra to convert the entire ghost from out of their body. The phantom can withstand one B-rank, two C-Rank, or 3 D-Rank before vanishing. The limit of handseals which the ghost can perform are equal to 2 E-rank and 3 D-rank jutsu. 70 chakra for collaboration techniques. Also, the phantom is allowed to handle weapons of C-Rank. This technique is 15 Chakra activation, and +5 Chakra every other post for each ghost currently on the battlefield. At B-Rank, The ghost can be summoned from out of the clan member's body to be used for combat. At this level, the seal grants the clan's member a strong connection to the spiritual world. The strength and speed of the ghost are equal to the user. The range of the ghost is ten meters. The ghost can be destroyed by one a-rank, two b-rank or three c-rank before dispelling. It can withstand all D-rank attacks . Also, the phantom is allowed to handle weapons of B-Rank, and can perform only 1 E-rank, 3 D-rank, and 1 C-rank jutsu. 90 chakra to be used with collaboration techniques. At A-Rank, The ghost can be summoned from out of the clan member's body to be used for combat. The strength and speed of the ghost are equal to the user. At this level, the seal advances onto higher levels of strength with their connection to the spiritual world, and become able to control up to three ghost. A Rank: 55 Chakra activation, 10 Chakra every post. At S-Rank, The ghost can be summoned from out of the clan member's body to be used for combat. The strength and speed of the ghost are equal to the user. At this rank, The ghost can withstand one S-Rank or two A-rank jutsu before vanishing. The range of the ghost is thirty meters. S Rank: 70 Chakra activation, 15 Chakra every post. Requirements: From character creation, the user must start with the D-Rank version of this technique, and train to learn the higher ranks. 1/ Mind and spirit chakra are tentatively interchangeable, they're kinda the same thing, minor gripe about the clan lore. Body, spirit, nature being the 3 kinds of chakra, some people replace soul with mind, but it is spirit. Stuns must be B rank for 1 turn and A rank for 2. Also, what does consuming half its body mean? -Soul Regenrating- If their main soul (not the second one) endures fatal injuries, the user is able of healing their soul through a charge up post of two posts while in battle or in a resting spot. Consuming half of the body of one of their souls mean they are sacrificing the spiritual injury of a ghost to be used for a blast which can stun. After the blast is released, the user must charge up with the tiger handseal for two posts to regenerate one of their souls in their body. It is suicide to release this blast with only one soul because the legs of the user will become immobilzed until the user regenerates their second soul. You really need to go through this section and make it clearer, just some of the senteances throughout are REALLY hard to understand: Ie. "At this same exact time, the young children also tap into their unique ability to communicate with their ghost telepathically which can sometimes be an advantage in battle for the user's blindside- behind them. " I'd give it to a friend and allow them to go over it, or read it aloud, or something. There's a lot of words, and you jump between subjects and it looses the reader. You also dont mention, as far as i can see. Also, you use the word intangible a lot, and i don't think you 'always' mean intangible when you say it. 1/ There's no duration listed, and your cooldowns say 2 while others say three, you'll need to go through this jutsu. You need to also lower the ranges considerably, if they are your soul, it stands to reason that they need to stay close to you. Also, how do you still operate without a soul? A soulless ninja would not be able to operate as they have no life force. 2/ More senteances which dont really make sense: "Withdrawing chakra from the ghost can cause the ghost to become altered in the incorporeal." ... "The intangible state allows for the ghost to be destroyed by weapon." 3/ You use lots of claims without explanation, you answered my questions in your post, but you didn't answer them in your app. You need to make changed. Jutsu need to explain all of their facets, you can't leave things open and unexplained. They need to be self contained. You have a LOT of edits to make, so i am marking this clan WIP for now. This ability of the man was soon to be named "Ghost summoning Jutsu" - which was the result of Kirigakure having interest in the clans skills to help them fend off against the other villages if needed. The other two are obtained at Chuunin (1500 word count), and Jounin (2500 word count). Does this mean you obtain one extra ghost at Chuunin for a 1500 wc training and the third at Jounin for a 2500wc traing. Or do you mean they obtain two ghosts at Chuunin then more at Jounin. If it's the later please specify the amount obtained at Jounin. Please clear this up because i may be mistaken but isn't fuuinjutsu how they use souls to create these ghost. It's an instrumental part of their clan. This is called a crossover. Not to be mistaken with hollowfication in bleach, a crossover is a complete takeover of the previously reaped soul, giving the killed person the body of the person who reaped them and sending the person who killed them in their place. This process is usually completed in the first few moments of a reaping. Because of this most younger Tamashii aren't allowed to reap other humans until they have first learned to strengthen their willpower. Move this to drawback. Also what happens to the person who takes over your body? Do they forever now have your body? Memories? Abilities? Doesn't seem quite right to be as it reminds me of how Orochimaru took over bodies. Instead replace the consequence of crossover with they will face a recoil of negative spiritual energy from the person they are trying to kill and instead are killed in the process. Does the other person have to be 1 or 2 ranks higher for crossover to occur? How many posts does it take for cross over to occur and be completed? 2) The members of the cClan are weak against Genjutsu. When defending against a genjutsu technique the genjutsu will gain 1 rank in strength and effect. 2) The members of the Clan are weak against Taijutsu. When defending against a taijutsu technique the taijutsu will gain 1 rank in strength and effect. 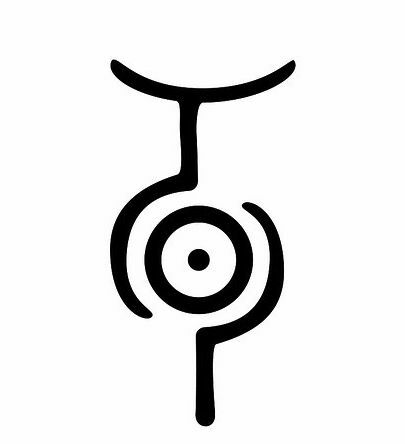 the user will place their hand on the seal on their stomach to extract their soul from their reservoir, convert it into a ghost and use it for support in battle, or support in everyday life. Wasn't the seal on their forehead? In a situation, where the clan's member first phantom endures fatal injuries which are unable to be healed, the lungs of the shinobi cease, and the clan's member life force is withdrawn from them, ending their life by suicide. The Genin has no range, and is unable to release the entire form of ghost from out of their reservoir. But, the body parts of the ghost can be summoned from out of the clan member's body to be used for combat. The strength and speed of the body parts are equal to the user. At this level, the Genin are beginning to familiarize oneself with converting their soul into a ghost, and have the worst control over summoning the phantom from out of their body. The ghost can be destroyed by two D-ranks or one C rank technique, and cause the ghost to vanish without a trace. The summon is allowed to handle weapons of D-Rank. The limit of the ghost handseals equal up to one jutsu. There has to be a range. Change it to a 4m radius. Alsp specify how many body parts are being summoned an what body parts. Also "the limit of the ghost hand seal equal up to one jutsu" means they can use jutsu right? So are the body parts just a pair of hands and others? The crossover - Not to be mistaken with hollowfication in bleach, a crossover is a complete takeover of the previously reaped soul, giving the killed person the body of the person who reaped them and sending the person who killed them in their place. This process is usually completed in the first few moments of a reaping. Because of this most younger Tamashii aren't allowed to reap other humans until they have learned to strengthen their willpower. Edits were not made.Move this to drawback. Also what happens to the person who takes over your body? Do they forever now have your body? Memories? Abilities? Doesn't seem quite right to be as it reminds me of how Orochimaru took over bodies. Instead replace the consequence of crossover with they will face a recoil of negative spiritual energy from the person they are trying to kill and instead are killed in the process. In a situation, where the clan's member first phantom endures fatal injuries, the lungs of the shinobi cease, and the clan's member life force is withdrawn from them, ending their life by suicide. This is a bit too harsh. Instead make it so the clan's member sustains fatal injuries and the phantom are dispelled. Perhaps as a better idea for an active drawback would be the Born Ill SC which makes it so they will collapse after 8 posts of active combat. Just a suggestion. The limit of the ghost handseals equal up to one jutsu. Reword this as, the ghost can perform only one jutsu. The ghost becomes able to unlock his jaws further than an average human, two of any rank equal to the user. The ghost can be destroyed by one B-rank, or two C-Rank techniques. I apologize but can you explain the futher than the average human part seems its need to be rewritten. Also rewrite that the ghost can be destroyed by one a-rank two b-rank or three c-rank before dispelling. It can withstand all D-rank attacks. For the ghost to be able to use handseals, Must use the lower version of the technique.